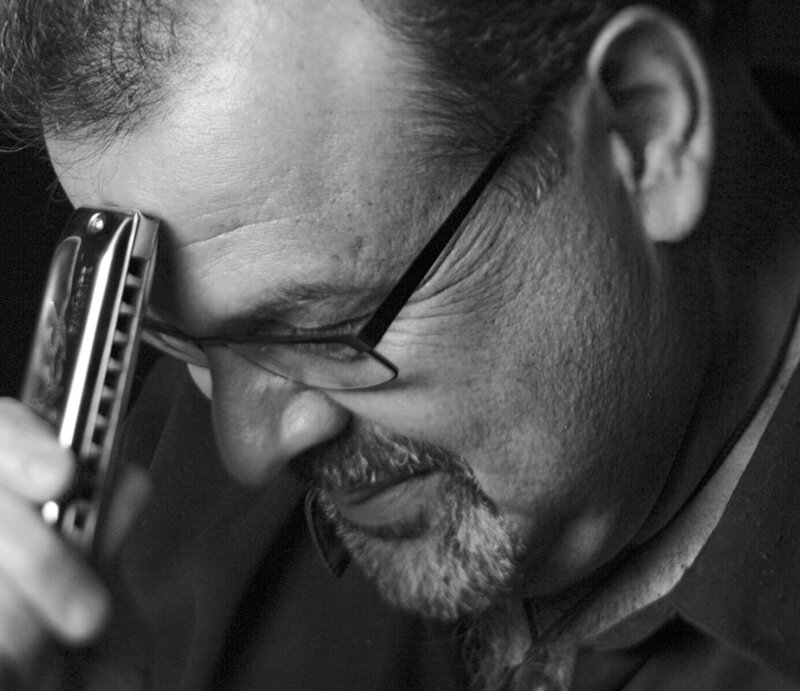 PT Gazell earned his position as an internationally renowned master of the diatonic harmonica taking the long way around from Oconomowoc, Wisconsin to Nashville, Tennessee. First picking up the instrument in his late teens, the self-taught player honed his craft by taking on all manner of musical styles. His instinctive musicality allowed him to explore and expand his repertoire and achieve a lofty level of mastery very quickly. PT says he likes to think of his performances as “an on going musical conversation between myself and my audiences.” Listen to the music he delivers and you’ll agree he is an exceptionally compelling and articulate speaker. PT Gazell & The Side Effects’ recent release, "A Madness To The Method" is currently receiving airplay on Jazz Radio Top 100 stations as well as numerous NPR jazz affiliates nationwide.